Looking around, you’re going to discover new books on all sides. Our store is subterranean. It feels like we tried to shove as many books into the space as possible, at odd angles and around pipes. It verges on the claustrophobic, then takes a step back. 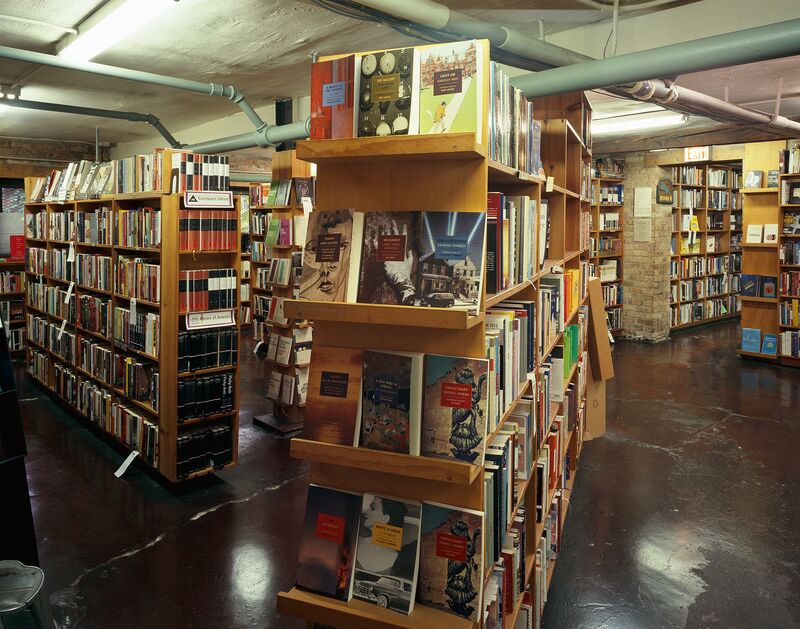 It leaves you with the feeling of being surrounded by—and among—the books. … There’s a quiet hum to it, a quiet buzzing sound. It has the feel of activity.